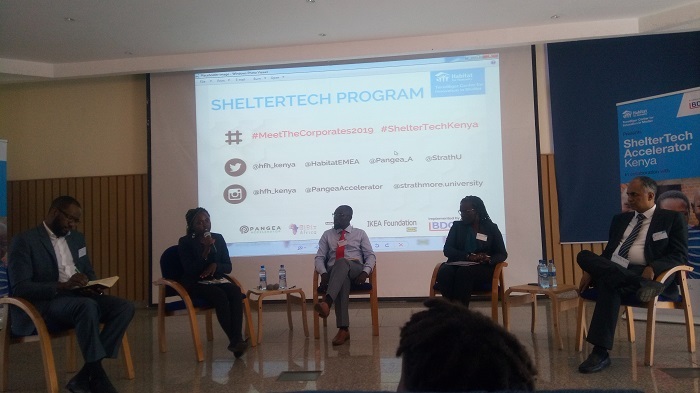 Earlier in the week, ShelterTech Accelerator held its first event dubbed “Meet The Corporates” in which it brought together corporates and startups in the affordable housing sector. The initiative is led by Habitat for Humanity’s Terwilliger Centre for Innovation in Shelter and implemented by BDO and Pangea Accelerator. The program is currently supporting 30 early stage businesses and scale ups in the affordable housing sector covering various areas. These areas include renewable energy, waste management, housing and construction technologies and products, together with water and sanitation in Kenya. According to the Pangea Accelarator CEO, Jonas Tesfu, the purpose for holding the event was to enable the startups connect with the right partners. He went on to advise the startups that corporates don’t have policies in place that guide how to interact with startups, hence startups need to be smart in how they engage with them in order to remain relevant. He added that the Pangea Accelerator is working on a code of conduct for corporates that will regulate how they interact with startups. Sandeep Khapre, the CEO of BDO East Africa stated that corporates are usually less attentive to startups when they are starting out. However, by being consistent, they startups will eventually get the desired results. He also added that while looking for investors, startups should look for a good fit rather than just looking at the money. Jane Otima, Associate Director for Habitat for Humanity shared that her organization used to build houses for the disadvantaged. However, at some point they realized that it was not sustainable hence they came up with the idea of the ShelterTech Accelerator. 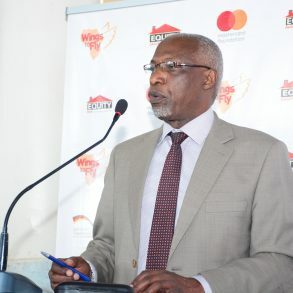 This programme aims to better tailor housing markets to the needs of low-income households and to identify, promote and accelerate Kenyan start-ups and high-growth companies that offer low-income housing products and services. The 30 start-ups will undergo a six-month acceleration programme, giving them access to expertise, networks and the opportunity to win up to US$50,000 in investment in their business.